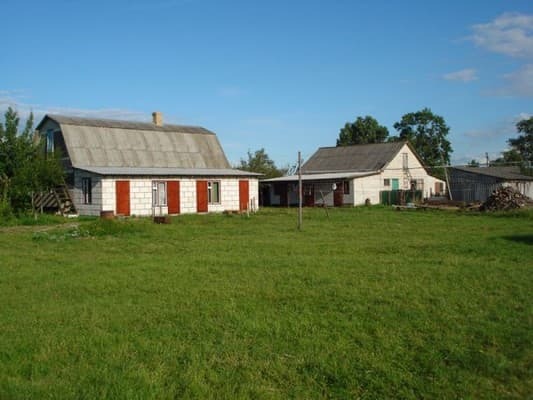 Private estate "Krainya hata" is located at Lake Svityaz (3-4 minutes walk). Private mansion offers accommodation for 2, 3, 4-bed comfortable rooms. 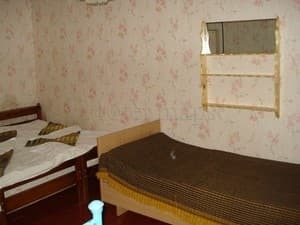 In the rooms there are wooden beds, orthopedic mattresses, a mirror, a wardrobe, a table. Toilet and mounted hot showers on the street. You can order food from home products, the menu is adjusted in accordance with the wishes of the guests. Possible preparation of dietary dishes. On the territory of the private estate "Kraynya hut" there are gazebos and a brazier, parking. PRICES MAY CHANGE, IT IS REQUIRED TO RECEIVE INFORMATION FROM THE OPERATOR. 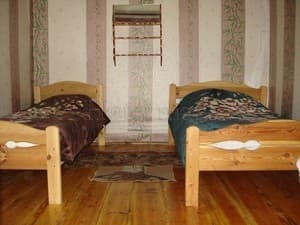 Description of the room: In the room there are wooden beds, orthopedic mattresses, a mirror, a wardrobe, a table. Toilet and mounted hot showers on the street. Description of the room: In the rooms there are wooden beds, orthopedic mattresses, a mirror, a wardrobe, a table. Toilet and mounted hot showers on the street. By arrangement, specify at the time of booking. By arrangement (homemade products), the menu is adjusted in accordance with the wishes of the guests. Possible preparation of dietary dishes. Private estate "Kraynya hut" is located at Lake Svityaz (3-4 minutes walk). By train to Kovel station. Minibuses from Kovel to Svityaz (Shatsk Lakes) every half an hour. The railway and bus station are nearby. Also, after the arrival of the trains, direct shuttle buses to Svityaz leave the station. From Lvov to Svityaz, the Shatsk Lakes, you can get there by shuttle bus "Lviv-Brest", "Lviv - pension Shatskie lakes". Also in summer there are three direct private minibuses from Lviv in the village. Svityaz.